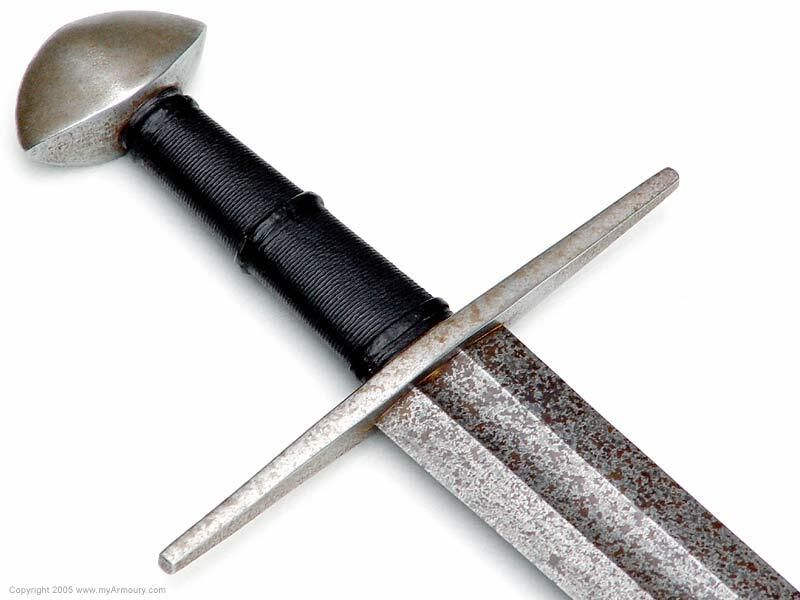 The Gaddhjalt (meaning "spike-hilt") is a sword of the late Viking period. 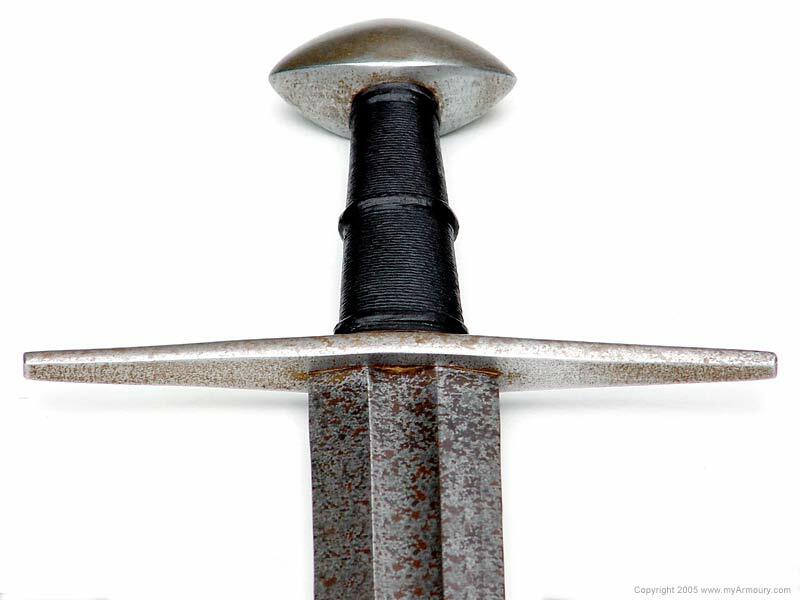 This type of tapering hilt has been found on swords in Norwegian burials as early as 950 AD. 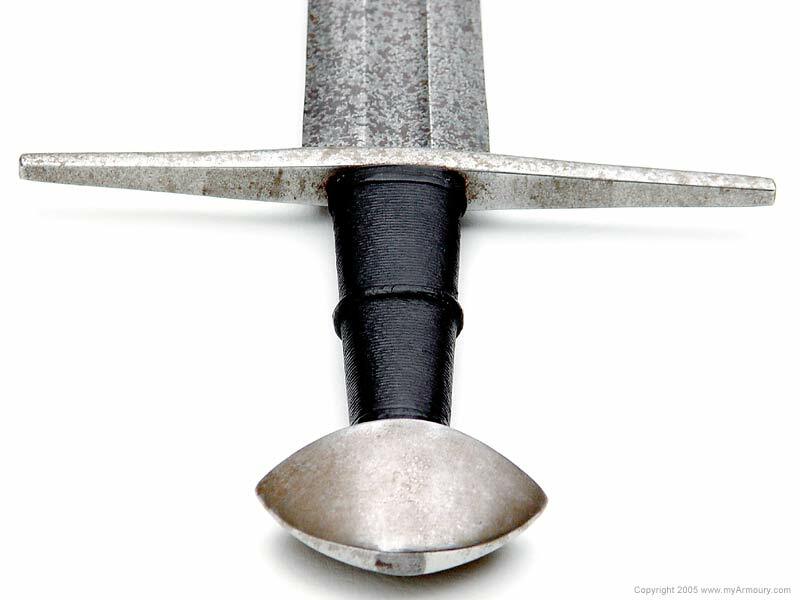 The blade is classified as a Geibig Type 5 (considered a variation of the Oakeshott Type X) and formed from 1075 steel by the good folks at Albion Armorers. 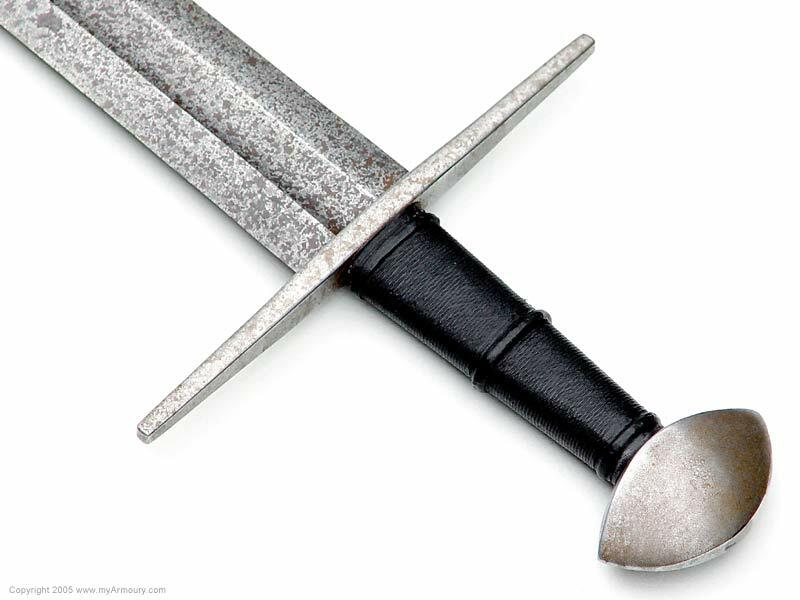 The blade type is intended for use against mail-clad opponents and is capable of powerful cuts. 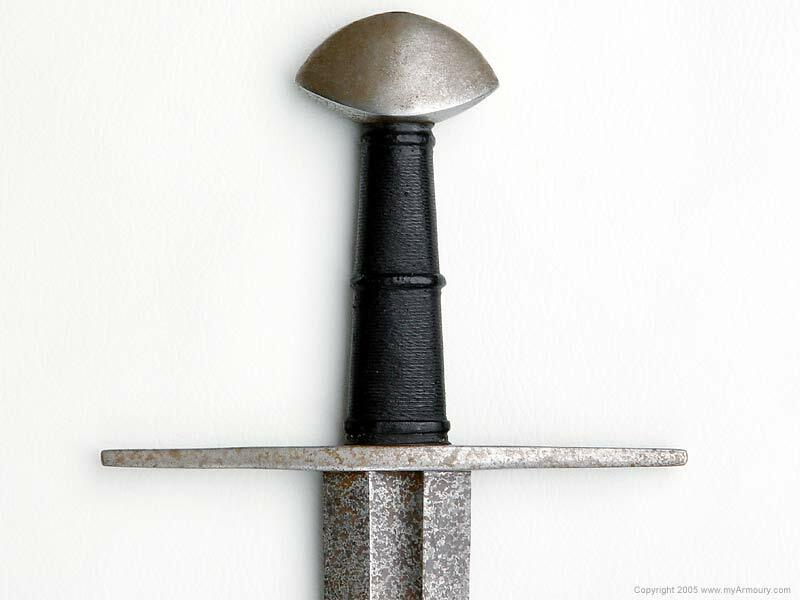 The pommel is classified as a Wheeler's Type VIII or Oakeshott's Type A, though it is commonly referred to as the "Brazil Nut". The grip is executed in black leather with a central cord riser which results in comfortable and secure handling. 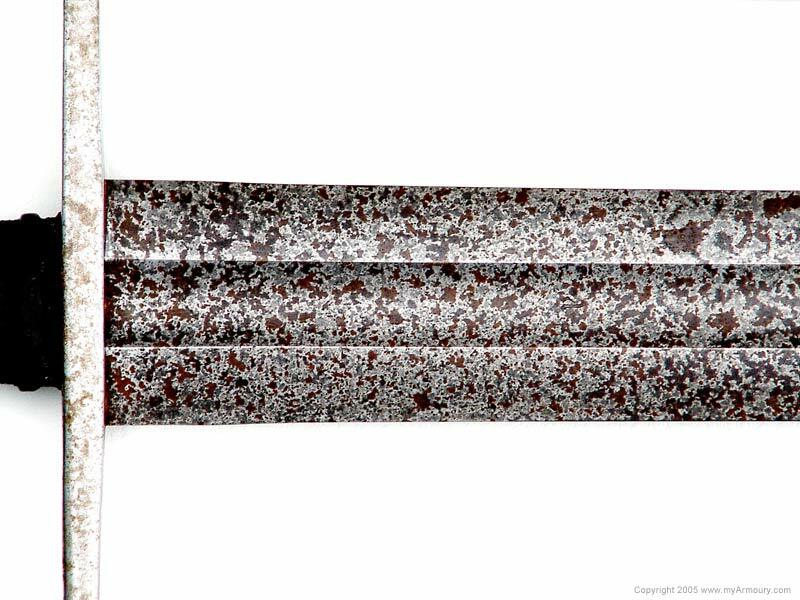 This particular sword has been antiqued utilizing the "salt and vinegar" technique described by Sean A. Flynt in the article: The Instant Antique: A Practical Guide. Blade: 35" long; 1.9" wide at base tapering to .9"